Although we currently have thousands of lakes in our library and are adding new lakes daily, we don't have every one. If we are able to locate an underwater survey of your lake's bottom contours, we can create a new map for you for an additional $30.00 design fee. If you are interested, please complete this form and we will research the availability of your lake! Select either photo album or guest book with lined pages. Add an additional 7 to 10 days for personalized maps. If you selected "yes" for personalizing, enter your address or GPS coordinates. You can also add additional details like "The Smith's House" to the map. A proof will be provided for your review within two weeks. We've found the perfect way to store your lake house memories, from your first swim that first summer at the lake to watching last season's final sunset cascade off the water. 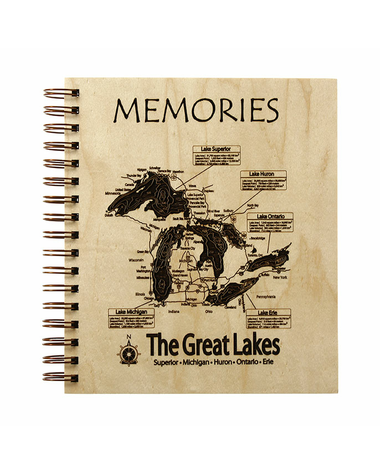 Our hardwood-bound “Lake Map Photo Book" or "Lake Map Journal" is perfect for storing all of your riparian memories. 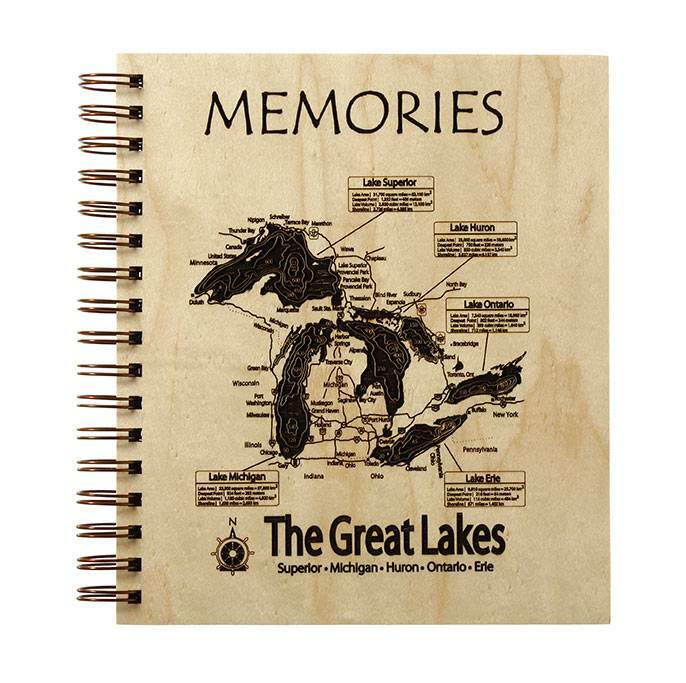 It holds up to 72 4"x6" photos and is laser engraved with your waterway's name and map showing the details of the lake and shoreline. Maps are made to order. Production time is approximately 2 weeks. I am incredibly excited for this unique gift! Thank you for giving me a wonderful idea for something totally new and different for the man who I can never buy for! This is a perfect gift for a family who loves spending time on the lake and takes tons of pictures to go with it. The cover looks great. Great service, quick shipment, awesome product!